Are you single this holiday season? Being single around the holiday season can put pressure on some people. It's important to reconnect with your family and friends and create a wonderful holiday season for yourself. 1. Are you someone that loves music? Contact the Red Dog, the Black Horse and the Dobro to see what musical talent they will be having. 2. If live theater is your thing, check out Market Hall and Showplace to see what type of shows they have on the stage. 3. Consider going on a short weekend getaway, such as maybe renting a cottage at Viamede for a few days or spending a few days in Ottawa. 4. Enjoy some fun winter activities—try skiing, snowboarding or maybe even snowshoeing. 5. Consider doing a wine tasting in Prince Edward County. 7. Sign up for some art classes or cooking classes. great way to make you feel good about the holiday season. 9. Get into some good books you've been wanting to read this year. 10. Plan the ultimate New Year's Eve celebration! Happy holidays to all my readers, and see you in 2014! Click here to learn more about Rebecca Cooper's Match Me Peterborough. Sign up here for her newsletter, "Like" her Facebook page, follow her on Twitter, check out her website, email her here or call 1.877.553.8883. Email here for deets on Featured columns. As individuals, we are used to making a decision pursuing what best suits our needs, whether it is personally or professionally. We are picking one over the other, we are considering ourselves and what will make us happy, and simply making a choice. When it comes to dating someone new, the fear of being rejected can be paralyzing. Many will avoid dating altogether to protect themselves from the potential pain they may encounter. If you can take your emotions out of it for just a second, evaluate what the purpose of dating actually is. Going on a date with someone is taking a thought and putting it into an action; you are confessing that you would like to get to know more of his person. Consciously deciding to give this person some of your personal time to get to know YOU is truly a wonderful thing. Think about this for a second: What if you go on a date with someone you think you are interested in and it doesn’t follow through with a number exchange or a plan for a second date? What will that do to you? Will you wonder if you did something wrong? YES! Will you question this person's intentions? MAYBE, but there is probably no reason to. Will you be okay? YES, YOU WILL! Going on a date is a stepping stone to discovering a person that you will love and appreciate. You will not want to go on a second date with every person you meet, which in turn means you are “rejecting” them—not because you are mean and cruel, it’s because you are looking out for your best interests and putting your needs as a priority. When I started dating Mike, three months afterwards I met his son in a casual and fun setting. But I really struggled with my position in his son’s life. I had never dated someone with a child before and being the sensitive and emotional person that I am, I often had difficulties truly understanding my role and how to make the best of it for all of us. Without considering just letting things happen naturally, I drove myself batty trying to make his son feel comfortable and in turn I felt completely uncomfortable. I googled ways on how to make my situation better, but most websites online about being a step parent express “how difficult the role of a step parent is”, and “how you may never love the child as much as you love your own.” My idea of step-parenting was more about learning ways to make it work, not reading people's negative stories on forums. Once thing I realized was that I dislike the word step-child; I prefer “my good friend”. I was once a step-child and no matter how I was treated, I never felt like I 100% belonged. The word "step-child" creates a barrier, and if you plan on having more children with this person it is important to not let the child feel like they aren’t 100%. 1. It’s important for you and your partner to sit down and discuss what type of role you would like to have in the child’s life, and to be committed to whatever you both decide. 2. Maintain a positive and encouraging attitude toward the child. 3. Treat the child like they are part of your family, giving them as much love as they will let you give. 4. Spend time on your own with the step-child to create a special bond. 5. Using your voice, if the child says something that hurts you, let them know how it made you feel. The truth is that having more kids in your life to love is a blessing; it isn’t something to make an issue about. Remind yourself that you are a positive influence in this child’s life and your commitment to being a part of their life will impact them and you in a positive way. COLUMN 4 TOPIC: Choosing your Life Partner wisely. The person you decide to marry is someone you should be able to imagine yourself beside in your 89th year, sitting on your front veranda enjoying tea, good conversation and the company of each other. A relationship is not like buying a new shirt, one that you will surely grow out of and end up throwing out when it no longer fits you the way it once did. When it comes to finding a partner to spend your life with, it’s important to be selective, as this will very well be one of the most important decisions you will ever be a part of. Finding someone to love, encourage and emotionally support you is something that each and every one of us deserves as human beings. There is a special gift that we have all received in life: it is that we have all seen or been a part of a challenging relationship. There is a lot that we can take from that, most importantly it is about understanding that every day and in every decision we are the ones that make a choice. Life is too precious to not pay attention to your happiness. When you find that special person you will know, make sure you enjoy every second of the ups and downs, live consciously and passionately. Rebecca Cooper's dating column appears bi-weekly on PTBOCanada.com. Click here to learn more about Rebecca Cooper's Match Me Peterborough. Sign up here for her newsletter, "Like" her Facebook page, follow her on Twitter, check out her website, email her here or call 1.877.553.8883. Email here for deets on getting Featured columns on PTBOCanada.com. 1. Compliment Her. The first few minutes are crucial on a first date. It’s important to check out your date in a subtle fashion, and take notice of the efforts she has put towards meeting you. Often, women will go to huge lengths to prepare for their date. Simply stating “You look great!” will absolutely make her day and give her a wonderful first impression of you. 2. Ask Questions. Getting to know someone can be easier than you think. When you are meeting someone for a first time, it’s important to take control of your nerves and put your best foot forward. Asking your date questions about travel, family and activities they are interested in is a great way to break the ice. Remember: You are not in a job interview so don’t treat it like one! How to control first date nerves? Our matchmakers often suggest treating the meeting as if you are reconnecting with an old friend. You will want to learn more about “who they are today”, and your anxieties will naturally subside. 3. Listen. She’s telling you information that you will want to catch so lean in to hear her, maintain eye contact and let her know you are paying attention. First dates can have that awkward silence, but if you are listening then you can create another question based on information she is touching on. 4. Pick up the cheque. Making the first move when the bill comes gives your date the impression that you are a gentleman and responsible. If she fights you to contribute, you can decline once, but if she insists then agree to split it. 5. Graciously end the date. Thank her for making the time to meet with you and let her know you had a wonderful time. Suggest swapping contact info (if you haven’t already), and let her know you will be in touch relatively soon. If you are into her, then make sure to plan a second date within a week’s time—providing she's interested. If you are not interested in seeing her again, then contact her and let her know you are not interested in moving forward. 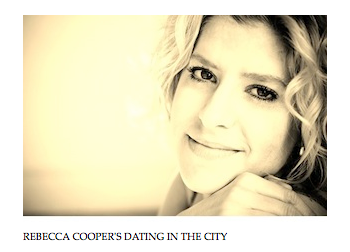 Rebecca Cooper's dating column appears bi-weekly on PTBOCanada.com. 2. It’s important to be realistic when looking for a compatible match. If you have been actively on the market for more than two years and have not had even one second date, then you need to re-evaluate your expectations. 3. Take a good look at your outer shell. Looks matter: YOU are the first thing people see when they meet you so make sure you are representing yourself the way you want to be perceived. 4. Tell the world you are ready to start dating. Allowing your family and friends to know you're single really sets the stance, and they’ll keep their eyes and ears opened for you when hearing about single friends and colleagues. Keep the way you go about meeting singles confidential, it’s only your business. 5. It’s important to imagine yourself dating. Start to think about meeting new people and finding love. 6. Keep a positive attitude! If you start thinking that you will never meet this person, then you are setting the mood for failure. 7. Patience is a virtue…. What is the rush anyway? 8. Be open to dating advice. Having a dating expert with you and assisting you in the process gives you an opportunity to learn and grow. Take advantage of this! This is the second of bi-weekly dating columns by Rebecca Cooper appearing on PTBOCanada.com. Read her first one here. Before you consider dating, you need to first learn how to approach her. Your physical image is what she first will see; she will build a quick impression of you just from your exterior shell. First impressions count. Are you a career successful, well-educated man who would like to meet a fit and attractive female? Then you need to look the part, as your inner self should influence your personal style. Women want to be courted by someone who has made the effort to update their look with clothing that is modern and age appropriate. Also someone who is well groomed and smells absolutely charming. Matchmaker FYI: Women care about appearance but are far less concerned if you look like a Hollywood hunk. They are more attracted to the man inside the body. What’s your strategy for a date? You need to have already mentally mapped out a fabulous evening with this person, and you need to let them know what kind of man you are. Women want to run into their friends or colleagues when out with a confident man so this means that taking her out to a hip restaurant in downtown Peterborough should be a part of the plan. Women also love the romantic attempts men make in movies so consider buying her a small box of delicatessen chocolates or bringing her a bottle of your favourite wine. Confidence is eye contact with someone, smiling while shaking their hand and a comfortable stature when speaking with them. Your voice needs to project assurance with a strong masculine touch. The confidence in a man is what gets the women in the end. A man’s morale couldn’t be any sexier in my opinion. This is the first of bi-weekly dating columns by Rebecca Cooper appearing on PTBOCanada.com. With years of experience matching people up in the community on a casual basis, and with a great downtown business on the go—she owned Tango at the time—Rebecca Cooper knew she was at a crossroads. She was doing two things she absolutely loved, but knew that she had to make a tough choice between them. In 2009, she finally made the choice—selling Tango—and diving head first into the Match Making business. It was then Match Me Peterborough was born! Rebecca begins the huge process of matchmaking by screening potential applicants to find out more about them than what is shown on the outside. Indeed, her goal isn't just in finding a simple physical attraction like most online dating sites do, but in helping to facilitate longterm meaningful relationships. After the screening process, she helps out her client by working with a life coach and image consultant to help them, if that's what they desire. After this is completed, she gets to work in looking for a desired match. She even goes so far as to arrange the first date. So there is no pressure on either party; they simply have to show up and enjoy a great date! The entire process is effortless and is completely confidential and discreet. Although she has moved back to Toronto to help establish part of her business there, Rebecca keeps coming back to Peterborough! Whether it be meeting with new clients, screening singles, or simply to enjoy what the city has to offer, she loves every excuse to come back. She loves the energy and charisma of downtown Peterborough, and always uses it as a focal point on the first dates she sets up between clients. What Match Me Peterborough does is take the work out of finding a compatible partner for someone who is really searching. Match Me Peterborough is a service that requires a year long membership, but is money very well spent! Rebecca absolutely loves the challenging and rewarding career she has chosen in match making. She is the only business in Peterborough who provides these services and has been extremely successful. Her success has lead to expanding to Toronto, London, Kingston, and many other Ontario cities while linking up with 7 other agencies to assist and draw from. If you are single and a career professional who has been meaning to put themselves out there but haven't been able to find the time or any luck in finding your mate, we suggest you contact Rebecca! She will do all of the hard work for you! For more info on PTBOCanada Featured Posts, email here.